“Run the Course” at the 2nd Annual Grand Prix 5K Run! 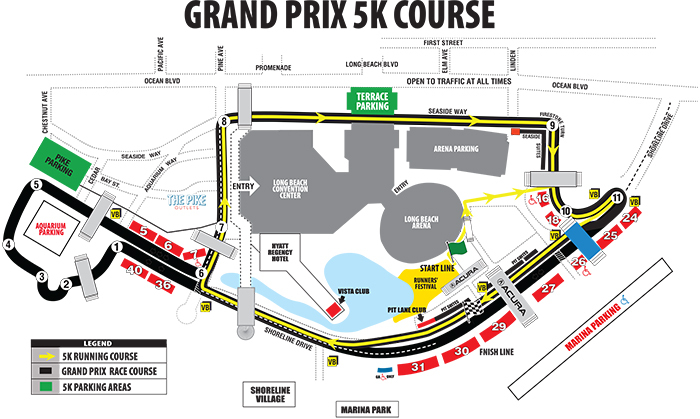 The Grand Prix 5K Run will take place on the world-famous Acura Grand Prix of Long Beach race course! The start/finish line will be on Shoreline Drive, and the course will include S. Pine Avenue, Seaside Way and feature its own hairpin turn at Shoreline and Ocean Blvd. – just like the one that Indy cars navigate every year! 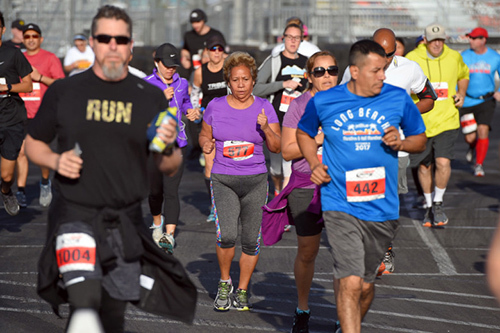 Entry fees and other proceeds from the Grand Prix 5K Run will go to benefit the Grand Prix Foundation of Long Beach, a 501 (c)(3) publicly supported organization whose purpose is to raise funds, through a series of charitable events held in conjunction with the Grand Prix. With the Foundation’s low administrative costs, approximately 90 cents of every dollar raised goes to benefit Long Beach charities every year. Since its inception in 1991, the Foundation has raised more than $4 million. Race results can be found here! 11:00 a.m. – 3:00 p.m. – Packet pick up & late registration at Legends Restaurant & Bar (5236 E 2nd St, Long Beach, CA 90803) in the skybox. Show your race bib and receive 10% off of your meal! Park your car. Hop a train or bus. 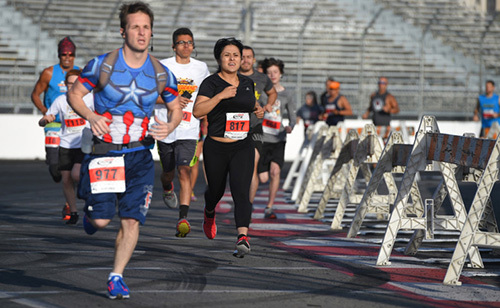 From virtually anywhere in Southern California, surface transportation will whisk you right to the downtown gates of the Grand Prix 5K course with no gridlock worries. 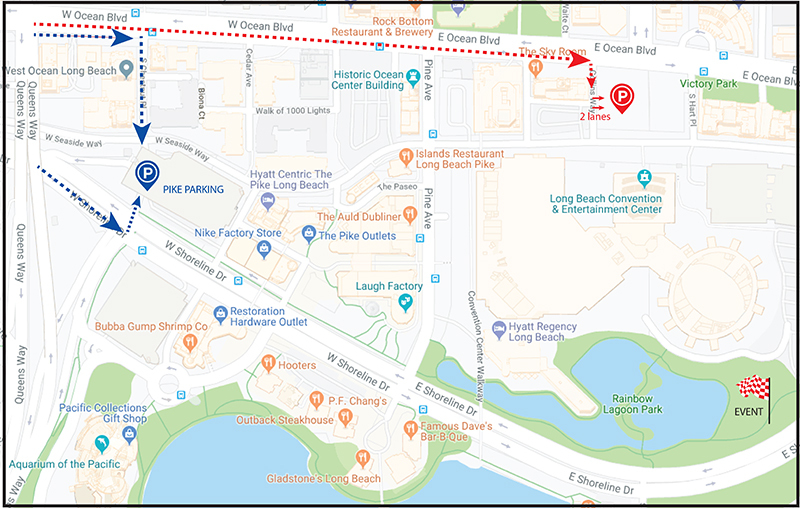 Parking will be available at the Convention Center at either the Terrace Parking Garage, Ocean Blvd. & Collins Way, or the Pike Parking structure at 65 Cedar Ave. Yes. Call (562) 490-4509 for a printable registration form and send it to Run Racing, 10545 Humbolt Street, Los Alamitos, CA 90720. Mail-in registration forms must be received before Wednesday, March 27th. Can I pick up race items for others? In order to pick race items for others (maximum of 2 other people), you must bring a 1) printed and signed waiver (available on the 5K home page) and 2) a copy of participant’s photo I.D. (can be a picture on a smart phone). No, there are no refunds once you are registered. On Feb. 15, the registration price goes up. From Feb. 15 - March 27, the price is $40. From March 28 - race day, the price increases to $45. We are looking for volunteers to help with packet pickup, pre-event prep, traffic control, the exhibitor area and course management. If you are interested in helping out, please sign up here. Promote your business and support Long Beach charities while you’re doing it! Our sponsors make the annual Grand Prix 5K Run possible through their participation and community outreach. For more information or to become a sponsor, contact Grand Prix Foundation of Long Beach President Rick Duree at [email protected]. Promote your products and services at the annual Grand Prix 5K Run! 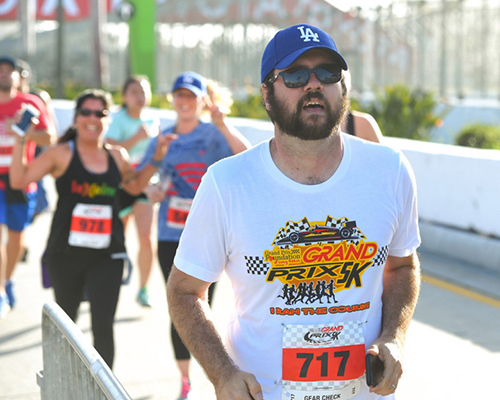 Sunday, March 31 – 6:00 a.m. – 10:00 a.m.
For more information about the Grand Prix 5K, contact the Grand Prix Foundation at (562) 490-4509 or e-mail to [email protected].